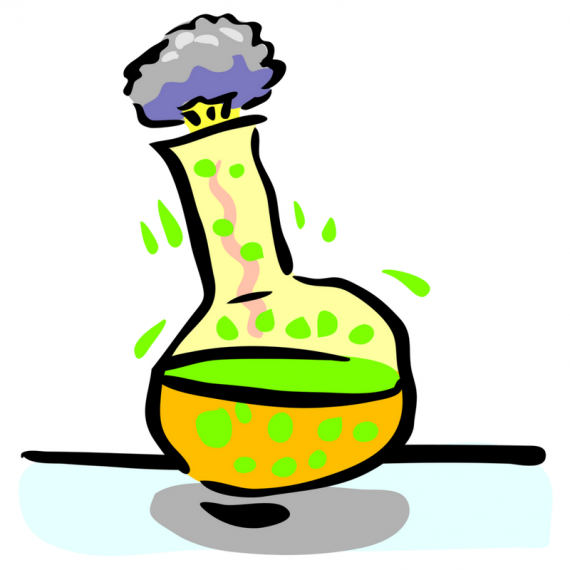 While the extent of elementary homeschool lab may sometimes just be mixing vinegar and baking soda, it’s imperative to discuss lab safety procedures with your children. Many relatively safe substances and chemicals can become irritants of the skin, eyes, and nose when used in large quantities or improperly. When working hands-on, we also need to account for accidents—and lots of them! It’s important to be cautious when cleaning up spills or breaks in lab equipment. Having a clear understanding of basic safety rules will keep everyone safe from harm inshaAllah. 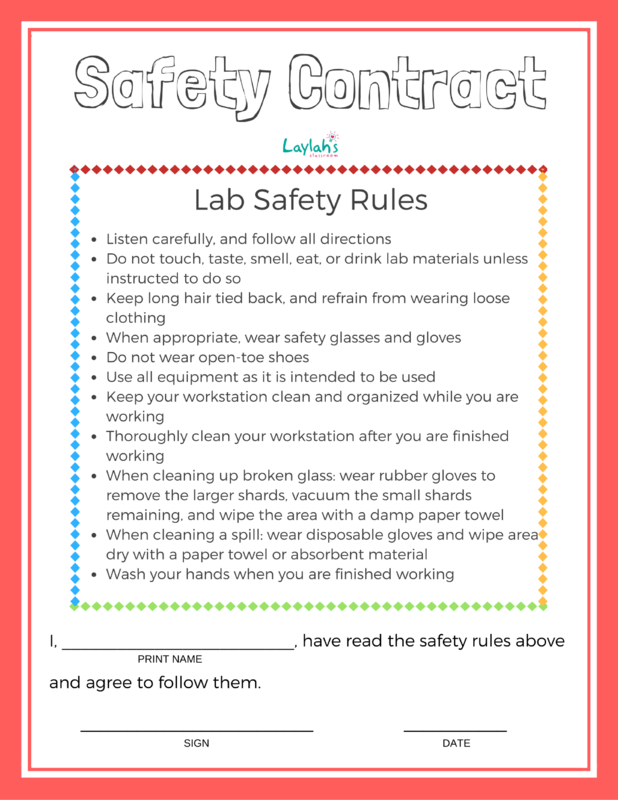 Covering lab safety in your Islamic homeschool is ideal from a religious standpoint as well. In Islam, our bodies have rights over us, and we must strive to protect and preserve life. Listen carefully, and follow all directions. DO NOT touch, taste, smell, eat, or drink laboratory materials unless instructed to do so. Wear personal protective equipment (PPE) when appropriate (i.e. – safety glasses/goggles, lab coat, gloves). Refrain from wearing loose clothing and/or jewelry. Use all laboratory equipment as it’s intended to be used. Keep workstation neat throughout the experiment, and clean up thoroughly after the experiment. Wash hands well after the experiment. When cleaning a spill, soak substance up with a paper towel or another absorbent material while wearing disposable gloves. When cleaning a glass break, remove larger shards while wearing rubber gloves, vacuum small shards, and wipe remaining bits with a damp paper towel while wearing rubber gloves. To stress the importance of understanding lab safety protocol, hold your children accountable. You can do this by having them sign a contract indicating they agree to follow the rules you set. Check out our free safety contract below for some inspiration, or use it as is in your Islamic homeschool! Where should we send your FREE Laboratory Safety Contract worksheet? Success! Now check your email to download your free Laboratory Safety Contract worksheet.